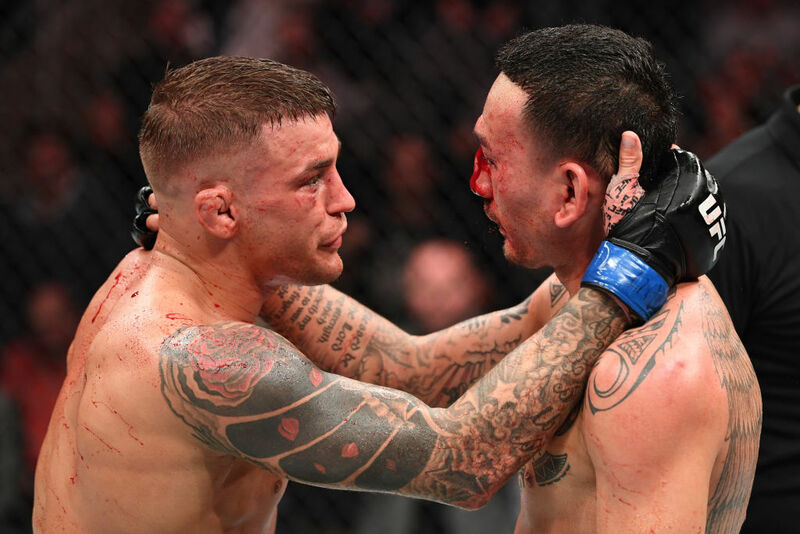 Dustin Poirier vs Max Holloway UFC 236 Apr 13, 2019 (45:02) Dustin Poirier vs Max Holloway at UFC 236: Holloway vs Poirier 2 from April 13, 2019 in Atlanta, Georgia. 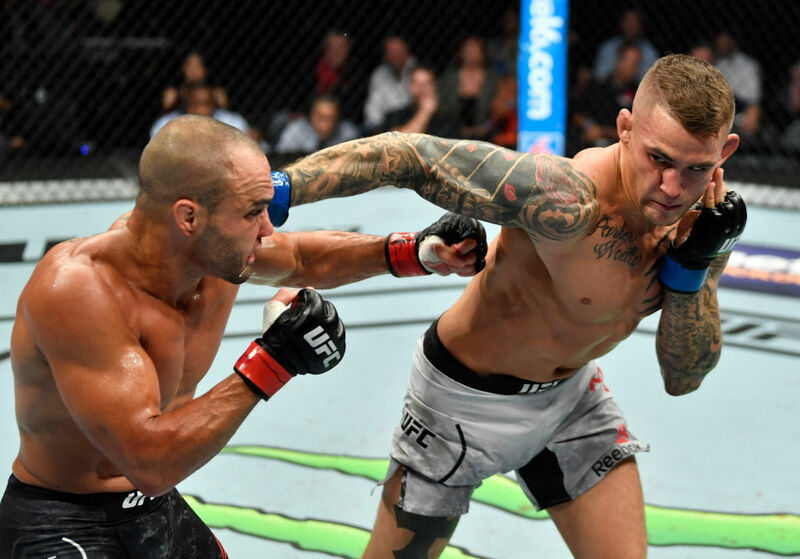 Dustin Poirier vs Eddie Alvarez UFC Fight Night Jul 28, 2018 (21:32) Dustin Poirier vs Eddie Alvarez at UFC Fight Night: Alvarez vs Poirier 2 from July 28, 2018 in Alberta, Canada. 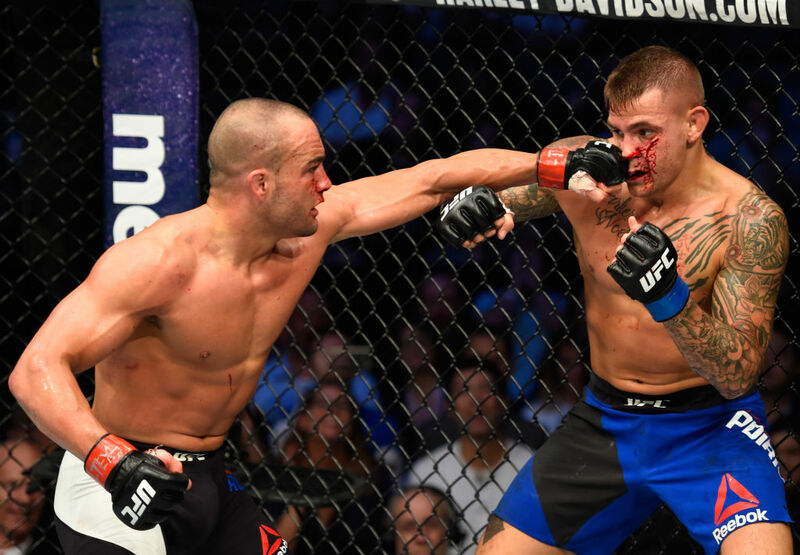 Eddie Alvarez vs Dustin Poirier UFC 211 May 13, 2017 (20:49) Eddie Alvarez vs Dustin Poirier at UFC 211 from May 13 2017 in Dallas, Texas, USA. 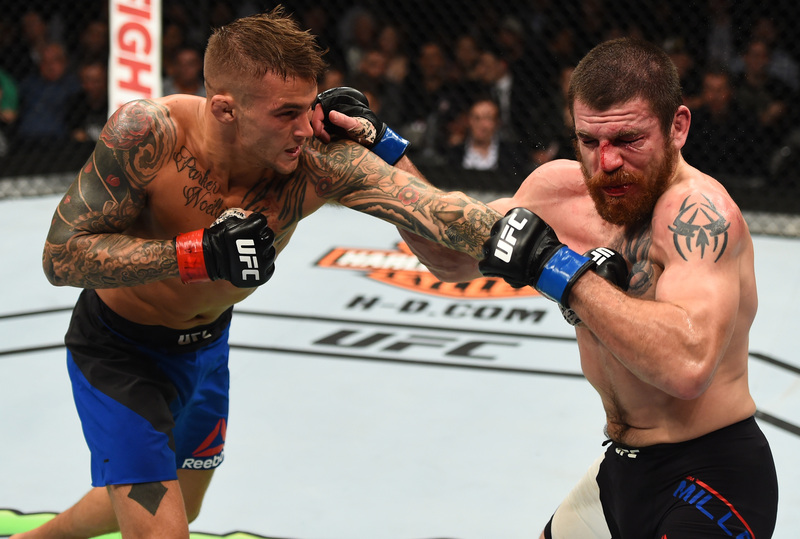 Dustin Poirier vs Jim Miller UFC 208 Feb 11, 2017 (30:06) Dustin Poirier vs Jim Miller at UFC 208: Holm vs de Randamie from February 11, 2017 in Brooklyn, New York. 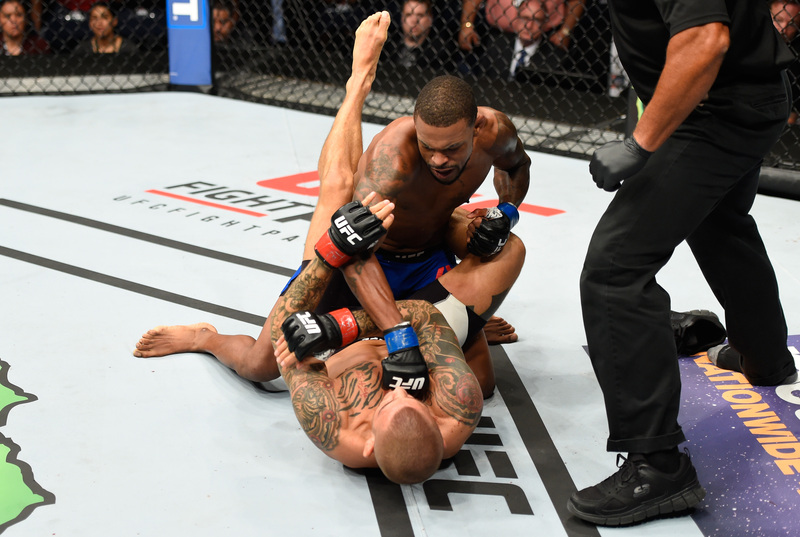 Michael Johnson vs Dustin Poirier UFC Fight Night Sep 17, 2016 (19:52) Michael Johnson vs Dustin Poirier at UFC Fight Night: Johnson vs Poirier from September 17, 2016 in Hidalgo, Texas, USA. 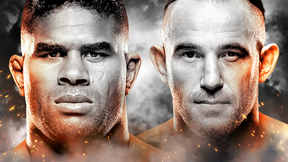 Dustin Poirier vs Bobby Green UFC 199 Jun 4, 2016 (14:52) Dustin Poirier vs Bobby Green UFC 199: Rockhold vs Bisping 2 from June 4, 2016 in Inglewood, California. 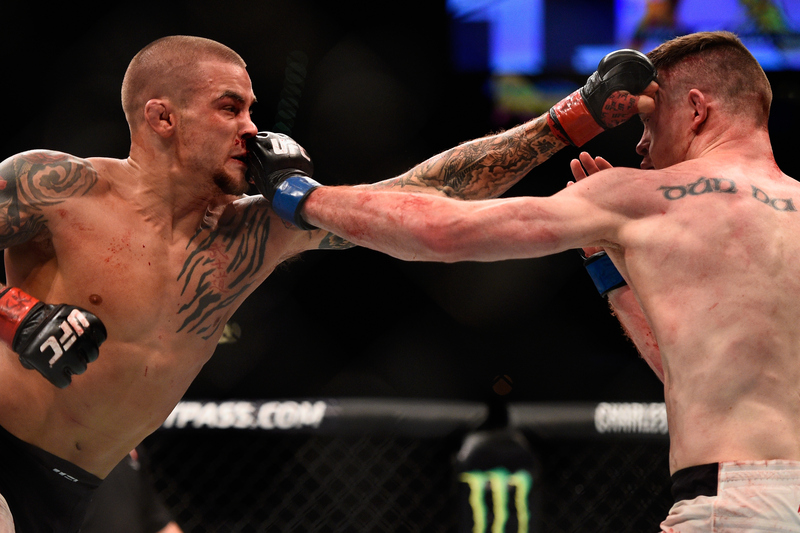 Dustin Poirier vs Joseph Duffy UFC 195 Jan 2, 2016 (27:51) Dustin Poirier vs Joseph Duffy at UFC 195. 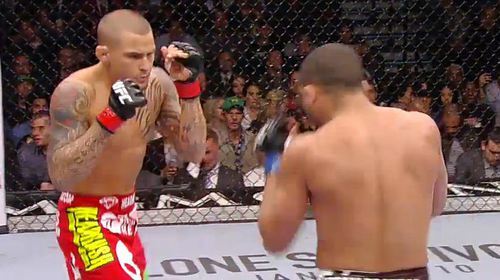 Dustin Poirier vs Yancy Medeiros UFC Fight Night Jun 6, 2015 (7:16) Dustin Poirier vs Yancy Medeiros UFC Fight Night: Boetsch vs Henderson from June 6, 2015 in New Orleans, Louisiana. 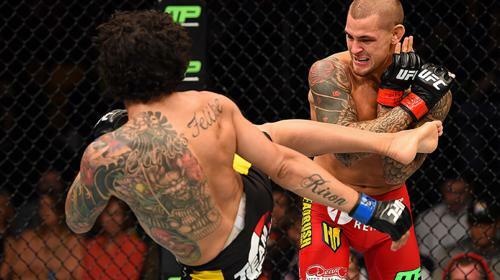 Dustin Poirier vs. Diego Ferreira UFC Fight Night Apr 4, 2015 (8:42) A fixture at featherweight since 2011, Dustin Poierier returned to lightweight where Brazilian finisher Diego Ferreira awaited. 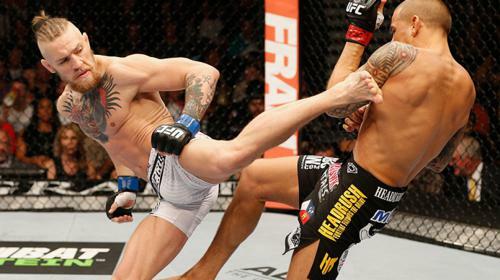 Conor McGregor vs Dustin Poirier UFC 178 Sep 27, 2014 (14:20) With plenty of animosity built up between them, Conor McGregor and Dustin Poirier finally met inside the Octagon in this highly anticipated bout. 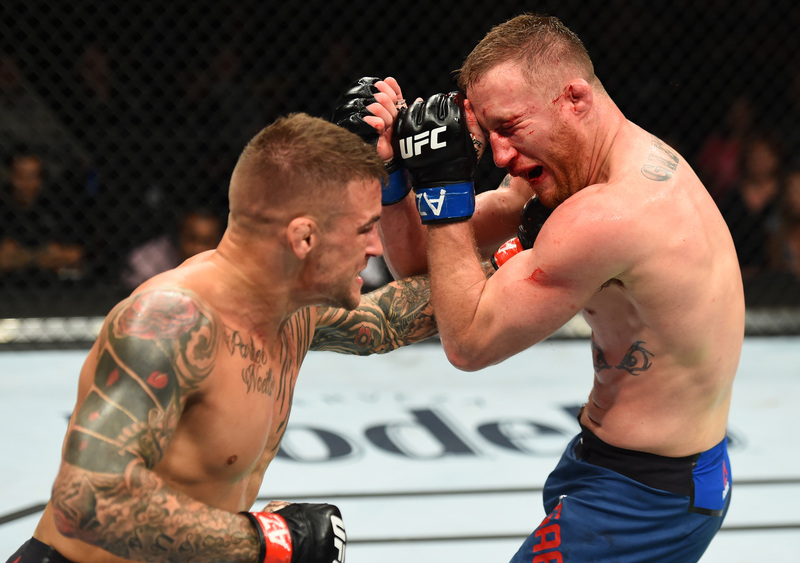 Dustin Poirier vs. Akira Corassani UFC Fight Night Apr 16, 2014 (12:20) Initially remembered for his polarizing run on season 14 of The Ultimate Fighter, Akira Corassani had created a different impression for himself, that of a legitimate threat in the featherweight division. 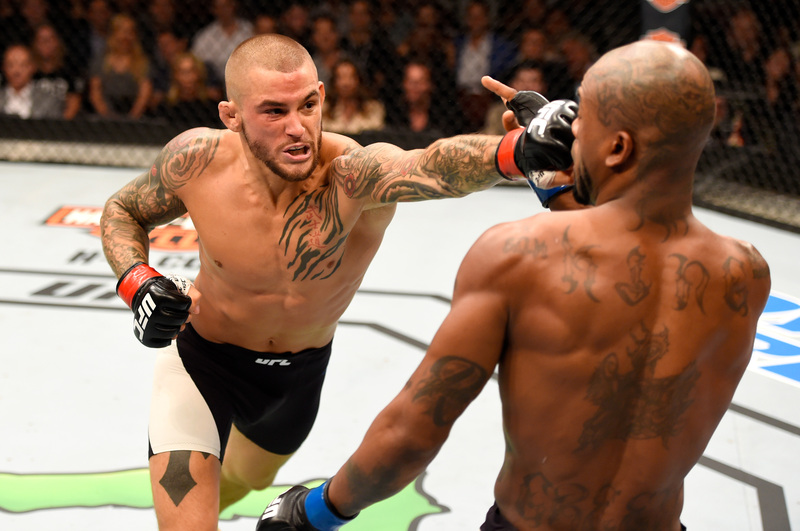 Meanwhile, Louisiana native Dustin Poirier was getting sharper with each win, evident in his victories over Erik Koch and Diego Brandao. 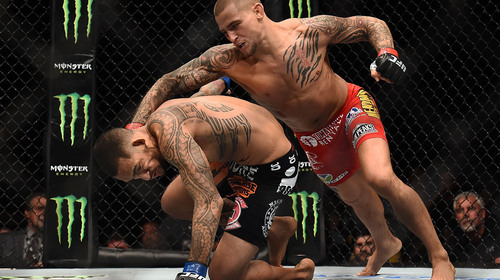 Dustin Poirier vs. Diego Brandao UFC 168 Dec 28, 2013 (13:59) Diego Brando came into UFC 168 hoping to extend his three fight win streak against Dustin Poirier in this 151.5 catchweight bout. 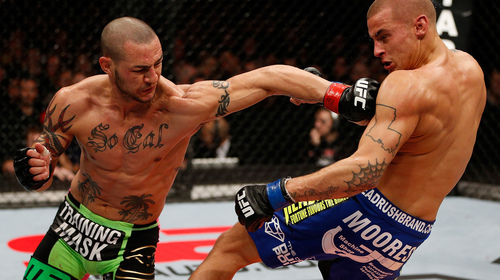 Cub Swanson vs. Dustin Poirier UFC Fight Night Feb 16, 2013 (20:06) Simply a great tangle! 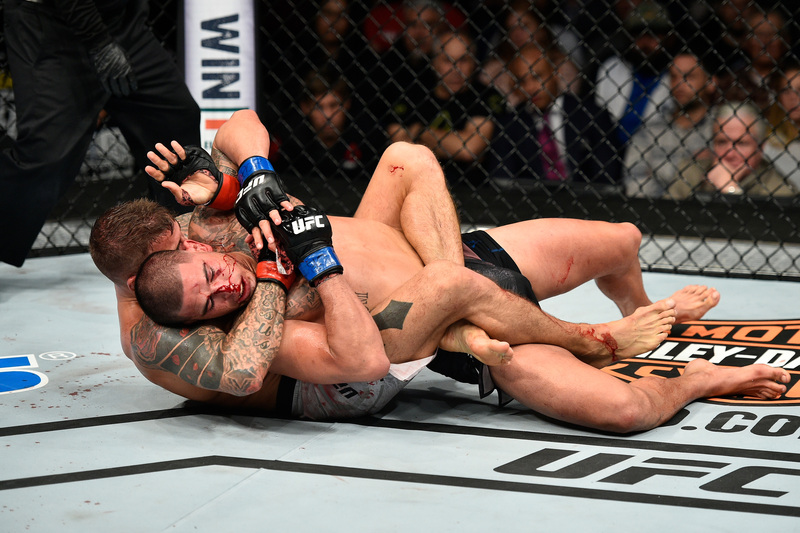 A reborn Cub Swanson, who was riding a three fight win streak, which included two Knockout of the Night bonuses, rumbled with Dustin “The Diamond” Poirier, who was 5-1 in the UFC and just earned his 2nd first round sub stoppage. 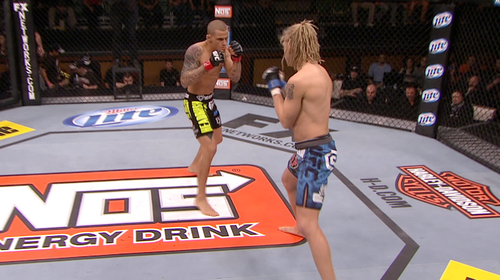 Dustin Poirier vs. Jonathan Brookins TUF 16 Finale Dec 15, 2012 (9:32) Both looking to climb the ranks in the lightweight division, Dustin Poirier faced Jonathan Brookins at the TUF 16 Finale. Chan Sung Jung vs Dustin Poirier UFC Fight Night May 15, 2012 (21:31) Two featherweights with strong striking skills and submission games clashed when powerhouse Dustin Poirier took on the 'Korean Zombie' Chan Sung Jung. 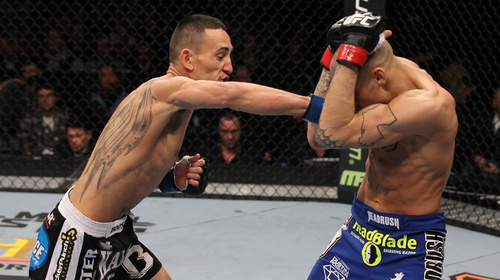 Dustin Poirier vs. Max Holloway UFC 143 Feb 4, 2012 (14:37) Despite his youth, Max Holloway had shown off some very mature skills thus far, but at UFC 143, he took a big step up in competition against Dustin Poirier, one of the featherweight division’s top rising stars. Dustin Poirier vs Pablo Garza UFC Fight Night Nov 12, 2011 (15:52) Pablo Garza looked to continue a string of stellar performances when he faced Louisiana’s Dustin Poirier, who had made a pretty big entrance himself with his back-to-back UFC wins. Dustin Poirier vs Jason Young UFC 131 Jun 11, 2011 (23:14) An impressive win at UFC 125 propelled Dustin Poirier into the UFC spotlight and now standing in his way was Jason Young. 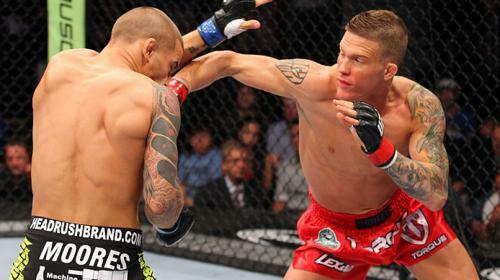 Young was looking to make a name for himself while also preventing Poirier from climbing up the featherweight ranks. Josh Grispi vs. Dustin Poirier UFC 125 Jan 1, 2011 (23:43) After a delayed match with the champion, the phenom from New England, Josh Grispi, insisted on keeping his date in the Octagon and looked to Dustin Poirier, a Louisiana native with an 8-1 record and maturity beyond his years. Dustin Poirier vs. Zach Micklewright WEC 52 Nov 11, 2010 (8:51) Coming off a disappointing loss, US Marine and Miletich product Zack Micklewright, who had five of his seven wins come by finish, tangled with Louisiana’s Dustin “The Diamond” Poirier, who owned all seven of his wins by stoppage. 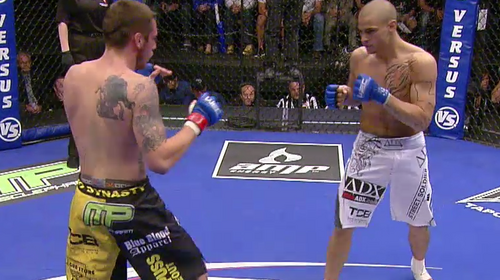 Danny Castillo vs. Dustin Poirier WEC 50 Aug 18, 2010 (24:45) Needing a win following back-to-back losses in the WEC cage, Team Alpha Male’s Danny Castillo, who was 3-3 in the WEC, prepared to welcome debuting Dustin “The Diamond” Poirier, who possessed a perfect 7-0 pro record with all wins by finish.